I hope you all enjoyed the holidays. As we welcome in the new year, I want to take a moment to reflect on all book-related things that I experienced in 2018 and the gratitude I feel for all of the support I’ve received from family, friends and readers. I met two of my idols this year. In May, Adriana Trigiani, author of Lucia, Lucia and The Shoemaker’s Wife, among many others, spoke at the retirement community where my mom and mother-in-law live. Adriana was a burst of bright energy, funny, engaging and so friendly. I listened, raptured, as she spoke of the women in her family and how important women are to storytelling. In August, I met the wonderful Kristan Higgins, who I discovered a few years ago and who is my favorite author and social media personality. I fangirled all over her. “You’re my favorite person I’ve never met,” is what I said when I faced her. Yep, I did. And I meant it. If you haven’t had the pleasure of reading her books and enjoy humorous, romantic, tug-at-the-heartstring stories, treat yourself in 2019. With the release of The Fabric Of Us in October, I had the privilege and the pleasure of enjoying three book club meetings to discuss it. The first was a complete surprise. My own book club, aptly called “Lit Ladies”, surprised me by reading it without telling me. I love these women. They continue to support me and each other. The next book club was put together by my “first friend” in life, Katie, who donned her Wonder Woman suit to orchestrate and mediate her first book club, specifically to get my book read. She managed to coax over forty women to join this club, which she named Baby Steps Book Club powered by The Association of Adults Who are Realistic People (BSBC powered by AARP). I write fiction, but I can’t make this up. The goal of this new club is to support new and lesser-known, local authors. She found a venue to accommodate the group and in November, we had our first meeting. Almost thirty women showed up, including several old friends. Katie has never been in a book club, but put this evening together beautifully. Did I mention she had a Power Point presentation? Like I said, Wonder Woman. The group below read The Fabric Of Us and asked me to join them in December. The women were warm, welcoming and I had the best time. Yes, that is a dessert (Tower of Shame) on the table in front of us. Finally, if you’re looking for something to read, here is a list of books I really enjoyed this year. I recommend all of them. Thank you to my readers who reached out to say a kind word about my books – you have no idea what it means to me. And to my friends and family, for your continued love and support. I am so fortunate and grateful for each of you. I wish you a peaceful, healthy New Year. And if you have a minute, let me know how your year was and what you hope to find in 2019. I’m all ears. Happy summer! They’re here, those lazy days we spend under the sun, reading and relaxing. I am thrilled to be a part of the Dog Eared Days of Summer Book Giveaway. For 12 weeks, Dog Eared Days will be giving away books of various genres, from children’s books, mysteries, humor, adventure and historical fiction. We’re already in week 4, so check out http://www.DogEaredDays.com. This week I’m giving away 2 copies of Both Sides of Love. 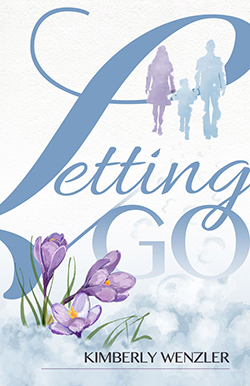 I’ll be back July 23-29 to give away copies of Letting Go. The grand prize giveaway will go to one lucky winner who will win all eleven books. It’s going to be a great season! Don’t forget your sunblock. Happy reading! I have been a happy follower of Rosie Amber’s blog for some time now. Rosie is an avid reader and book reviewer who’s goal is to connect readers and authors through her reviews and various posts. She has amassed a wonderful team of reviewers who offer their perspectives daily on a variety of genres. Now, Rosie has added a resource for book clubs! So, if you’re part of a club, check out the 5-star books rated by Rosie’s team. You will have an opportunity to contact the author as well. I’m honored to note, Both Sides of Love was chosen as one of the many books on this list. Click on the link below to connect directly to Rosie’s site. Happy reading!